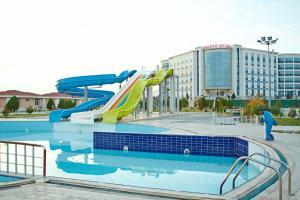 Featuring a tennis court, Duzdag Hotel is set in Naxçıvan. 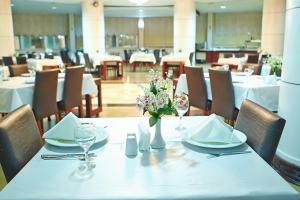 The property has a bar, as well as a restaurant serving pizza cuisine. Guests have access to a spa centre and hot tub. All rooms in the hotel are fitted with a flat-screen TV. 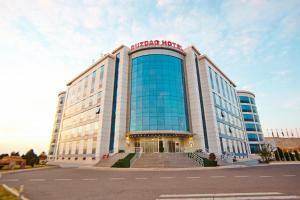 Featuring a private bathroom, rooms at Duzdag Hotel also offer free WiFi. Guest rooms at the accommodation have air conditioning and a wardrobe. A buffet breakfast is served each morning at the property. Spa and wellness facilities including a sauna and a fitness centre are at guests' disposal during their stay at Duzdag Hotel. Staff speak English, Farsi and Russian at the reception.